Meditation can be really difficult for many people. While the fact of the matter is, simply put, that there is no “proper” way to mediate, below are some simple steps that may help you. 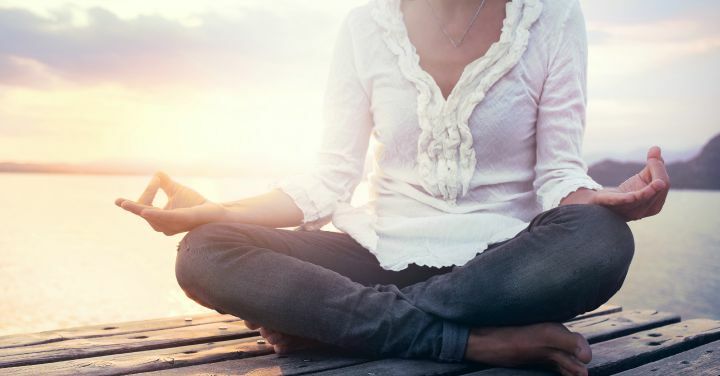 If you are new to meditation, these 9 tips may help you to get started. 1. Find a quiet place where you know you will not be interrupted. In other words, lock the door! Your meditation space should be somewhere you feel safe and a place that is quiet and comfortable. This part can sometimes be a challenge, especially for women that have young children. Turn off your phone or better yet, leave it in another room. Turn off all electronics that can beep or make noise that could distract you. The same goes for children and spouses that may seek your attention. Let them know you need a bit of uninterrupted time by yourself. Likewise, in addition to finding a quiet place, find a time that works best for you. Ideally, the best times for meditating are in the early morning or late at night, because this is when it typically is more peaceful and quiet and you can relax. 2. Some people find it helpful for their focus to have soft background noise. This can be “white noise” or nature sounds, such as waves crashing, birds chirping or the sound of the breeze through the trees. One type of sound that can be really effective and helpful is binural beats. These can be hugely effective for focus as well as calming the mind. Binural beats, also known as Brainwave Entrainment, is a therapeutic method that uses specialized sounds to influence the electronic activity of the brain. The brain naturally emits waves in varying frequencies. Each frequency range is related to a different brain-state and can induce that state for the person listening. It is excellent for meditation time. Some people like to stretch before meditation or while in meditation. This helps release physical tension in the body and begins to calm the mind. 4. Set your intentions for your meditation. 5. While the intention is being set, many people enjoy lighting a candle. Lighting a candle can be a nice ritual during meditation. Setting your intention is the time to work out where you intend to go with your meditation. Pre-planning does not necessarily mean you will go in the direction you plan, but it gives you a good place to start. (Not knowing where your meditation will go is part of the beauty and effective nature of meditation.) A common frustration for beginner meditators is to assume that meditation is always supposed to be the same with the same goal. This is a misunderstanding because meditation can cover many different goals, including healing, insight, calmness, energy, mindfulness, a path to happiness and self-realization. Meditation can even be used to help you through tough times in life, such as overcoming abuse, addiction, illness and stress. Meditation can also include cultivating love, compassion, peace and spiritual enlightenment. 6. Let Go and Let it Be. Whatever your intention through meditation, let the chatter of the mind dissipate. You can simply observe your breath and the meandering thoughts that will pass through your mind. Whatever the thought, eventually there will be another one and then another one. Let each one appear and then dissolve in your mind – acknowledge it and return your focus to your breathe. This is an opportunity for you to find a technique of dissipating thought that works best for you – sometimes all you need to do is just be and feel being alive. In terms of the length of time to be spent meditating, most beginners aim for 10 to 15 minutes initially, and gradually build up if they want. Some people like to use a Meditation Timer that gently signals when the meditation time is coming to a close. Often when we envision meditating, we see yoga images of people in the full lotus posture, with their eyes closed and appearing deeply at peace. Few people can actually do the lotus posture without training or strain. In fact, few people can even sit upright for a long period. In terms of posture, it is up to you. If you want to sit in full lotus, that is wonderful, but the general guideline is to sit comfortably, but not too comfortably. Reason being because you could risk dozing off and falling asleep. Some experts recommend sitting with both feet flat on the ground for ideal energy flow. On somewhat of a side note, some like to meditate while walking and while this is a different technique than that discussed here, it is a great form of meditation. 9. To begin your meditation, close your eyes and start by relaxing and letting go of distractions. ly see where you go during your time. If you find your mind wandering way “off track” such as writing your grocery list, choosing paint for your kitchen, or thinking about how long it has been that you’ve been meditating wondering how many minutes have passed, simply acknowledge that you have wondered and move back to your breathing. There will very likely be times when your mind just will not relax. That is okay. It happens to the best of us and tomorrow is another day. Adapt your meditation to the goals you seek. As explained earlier, there are many possible goals behind meditation. Once you become clear on what you want from meditation, you will discover ways to best achieve this. Keeping a post-meditation journal of each meditation experience can be a great way to gain insight and perspective, new ideas and further self-development. Keep practicing. Meditation works best when you do it regularly. A regular meditation practice builds not only strength, awareness and confidence, but more comfort with meditation in general. With practice, your meditation develops. Never pass up an opportunity to relax, or be kind to yourself and let go. This does not have to be during meditation. It can be any time and in any way. Anytime you are swimming in a deep sea of anxious thoughts, take a moment to center either through meditation or just a moment of letting go. The more you practice meditating the easier this is to do when stress appears. If something comes up that causes you alarm or perhaps even fear, admit that it makes you feel that way. This happens to many people and there is nothing wrong with that. Then work on letting go of the fear by getting to know what you see. Likewise, it is inevitable that a variety of thoughts and feelings will come and go. Relax. It may seem like mindless repetition of this word, but it is the key and with practice, relaxing is easy.